While credit card debt may seem overwhelming and impossible to control, there are ways keep it from ruining your finances. Attorney Kelley has experience dealing with creditors and may be able to negotiate a settlement on your behalf. With an attorney in your corner who knows how to handle credit card companies, you may be able to have those exorbitant fees eliminated and settle your credit card debt for far less than you owe. We may be able to help arrange payment plans that you can handle. One option for eliminating credit card debt is a Chapter 7 bankruptcy filing. With a Chapter 7, all of your credit card debt is typically discharged, and you don’t pay back any of the debt. This is the shortest way to get a fresh start when credit card debt has become unmanageable. Since not everyone qualifies for Chapter 7, some people choose to file a Chapter 13 bankruptcy. In this type of bankruptcy, the interest and fees stop accruing on the credit card debt, and you have 3 to 5 years to pay back only the portion of the debt which is required to be paid under the Bankruptcy Code. Even in a Chapter 13 bankruptcy, a large portion of your credit card debt is typically discharged and not paid back. If you want to find out if filing for bankruptcy is the best option for you, let Attorney Kelley listen to the details of your financial situation. Attorney Kelley has the experience and also the compassion needed to look past the numbers and see a path toward financial control and freedom. There is no reason to spend another day in fear of the mail or telephone ringing. The harassment can be stopped and your credit can be saved. 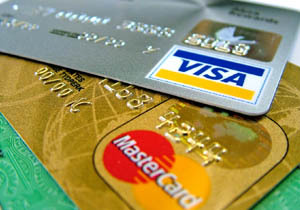 Let Attorney Kelley help you get out from underneath credit card debt as soon as possible.